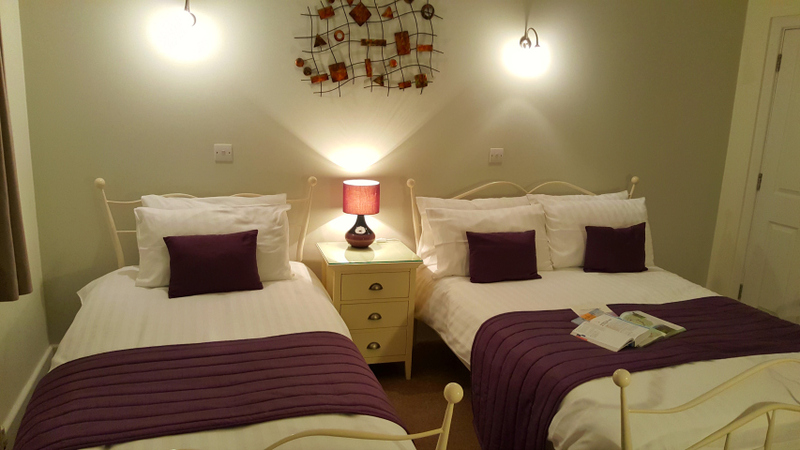 We accepted the challenge to review a Bed and Breakfast for eviivo and were thrilled to receive confirmation that we had Highlands of Highworth booked. It meant we were to stay at a place that appealed to me online - I liked the decor - and we could visit the Cotswolds. I've wanted to visit Devon, Cornwall and the Cotswolds for decades. 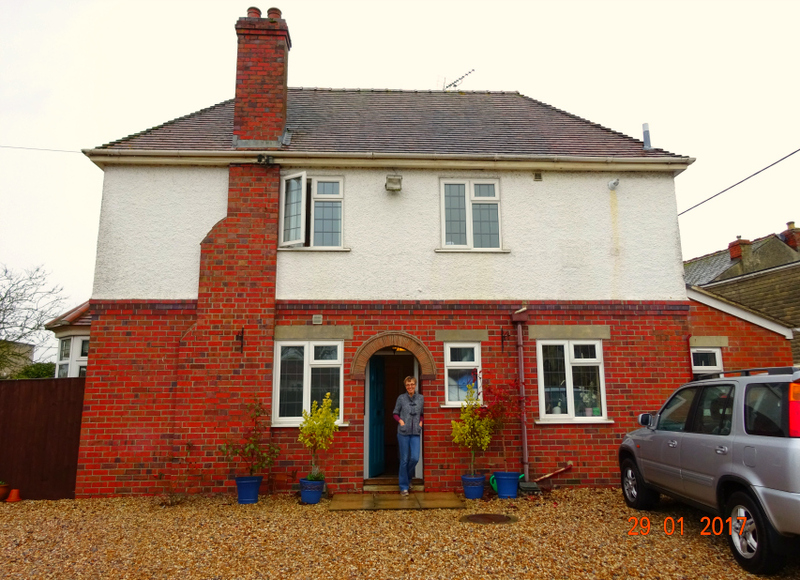 Ordinarily we'd be strictly hotel people and we've never ever stayed at a Bed and Breakfast as a couple or family (I have myself though with my Dad and his wife in Wales on the way back from Ireland, to break up the long boat and car journey). We stayed in a hotel this Christmas Day night just gone, but it was so awful and this Bed and Breakfast SO great, I think I may now be a complete convert to what eviivo affectionately calls the "independent sector". The house is way bigger than it deceivingly looks above. It's like a tardis! What is undeniably huge though is the driveway in front which has 2 access points and I'd say parks quite a few cars off-road, so don't at all worry if you as a couple arrive separately. Also makes unpacking the car and popping out for something you've forgotten extremely convenient. 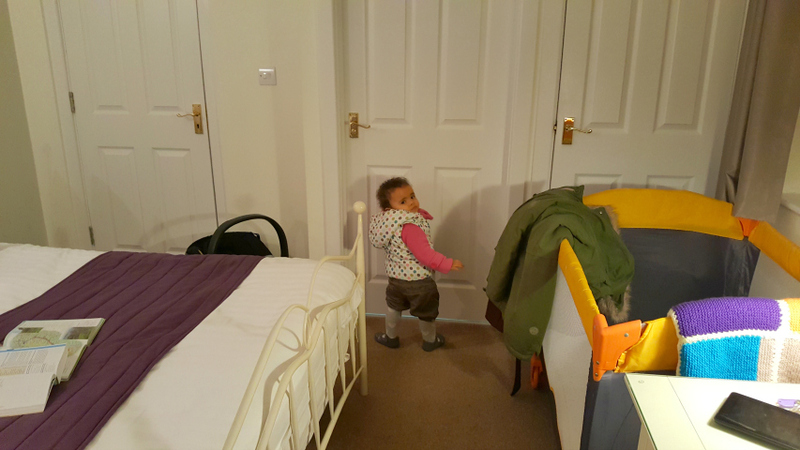 Straight away, Lottie and Aaron adored our room and they were both right at home. A quick look through the guestbook and you can see that all of the guests feel like this and they get many repeat bookings. In fact they have 100% Trip Advisor reviews and 82% occupancy with our stay being to celebrate them being "Simply the Guest Winners" in the prestigious eviivo Awards very recently. On the eviivo website Highlands has 100% in their reviews. I love that Lottie's PJs coordinated with the decor of the Purple Room which looks way nicer in real life than it does on their website. I got the PJs as one of her many birthday gifts as I am just exhausted trying to do up sleep suit poppers when all she wants to do is crawl, walk or wriggle away. Yes they are cute and much more the baby in a sleepsuit, so I did also get some new ones of those, but you can't beat the speed with which you can put these on :-) and they were only a fiver for a 2-pack in Asda. Thanks for the recommendation Mummy in a TuTu. 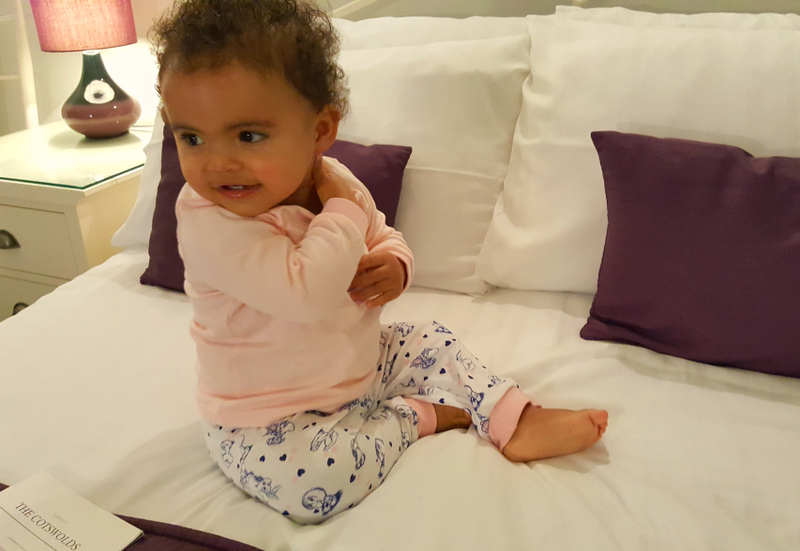 Lottie has very recently started walking so she was delighted with the metal bedframes on both our single and double bed, using them as a prop to pace up and down up and down the room. This kept her amused for quite some time. She was then very taken with the plentiful tea and coffee area, but here I couldn't take my eyes off her as I did not want her to smash a cup or saucer. I made very good use of the hot chocolate and we really enjoyed the biscuits Aaron and I, especially as they were topped up for our second night. The icing on the cake was the bottles of water, which I was very grateful for. It's worth accepting the offer of having your room cleaned as all of this gets topped up. Yes it means you have to keep your room tidy ;-) but that makes packing to leave easier - but keep reading as boy is THAT a story! Our room felt big even though there wasn't a huge amount of floor space (due to double bed, single bed and travel cot) because it had windows on two walls and because the bathroom is huge. 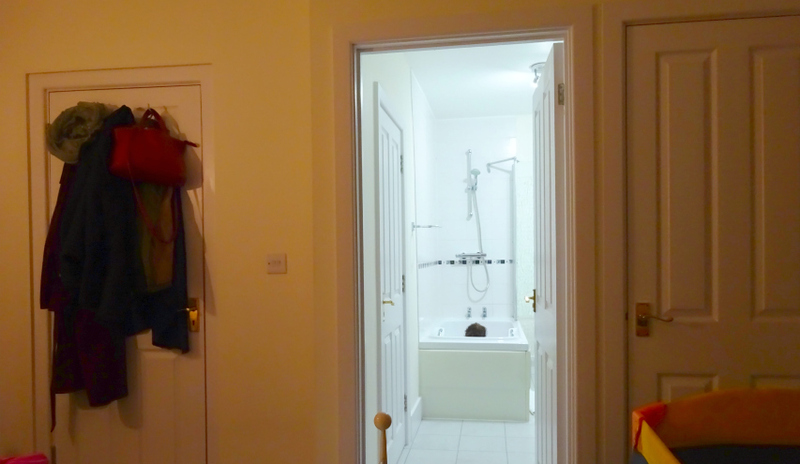 Off the room are THREE doors, one to a wardrobe, one to the bathroom and one, the entrance to the room. The wall of doors is actually quite coordinated and aesthetically pleasing if you know what I mean. As you can see below we had a cloakroom row of hooks on the back of our bedroom door and I loved hanging all of our coats there - I know, simple pleasures! But it's calming to have a home for them and enjoy the room as clutter free as possible. We had a big TV and loved the fact it had children's channels that even worked late at night Friday. It took me till Saturday night to work out how to get the kids to sleep at a reasonable time but it involved a bath followed by lights out. Yeah those pesky lights but I'll know for our next break away. I discovered Friday night that even one desk lamp or just the glow of the TV kept them awake, so Saturday night Daddy stayed in the bathroom for a wee while whilst I dealt with lights out and little people. 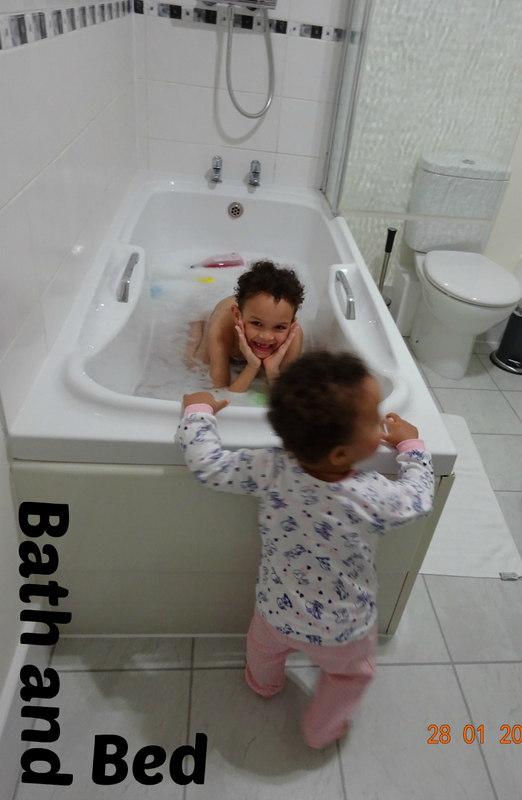 Speaking of the bath though, I would never normally trust the cleanliness of one away from home for my kids, but so clean is Highlands I felt more than comfortable making a bath part of their wind-down routine on Saturday night and it was so sweet. I had to do something, given the crazy late night of Friday (they slept after midnight out of pure excitement at being in a new place) and how grumpy it meant they both were at breakfast. So Saturday night I think I had them asleep quite soon after 8:30 p.m. Sunday morning they were then both in good form for breakfast and they needed the early night anyway after an amazing day spent in Avebury, a recommendation over breakfast from our landlady. The hubby happened to mention Stone Henge and she explained that Avebury was nearer and way better. Turned out it has the biggest stone circles in Europe and we were indeed very impressed with our day out. It's best to discuss breakfast the night before, what time you would like it and whether you're a continental or English breakfast kind of person. Although I can heartily recommend both. The fresh fruit and yoghurt is delicious - I definitely should have eaten more of it. Karin uses only the best sausages - bloody lovely - and bacon, but as delicious as they were, they were eclipsed by the mushrooms which were more than yummy, literally to die for! 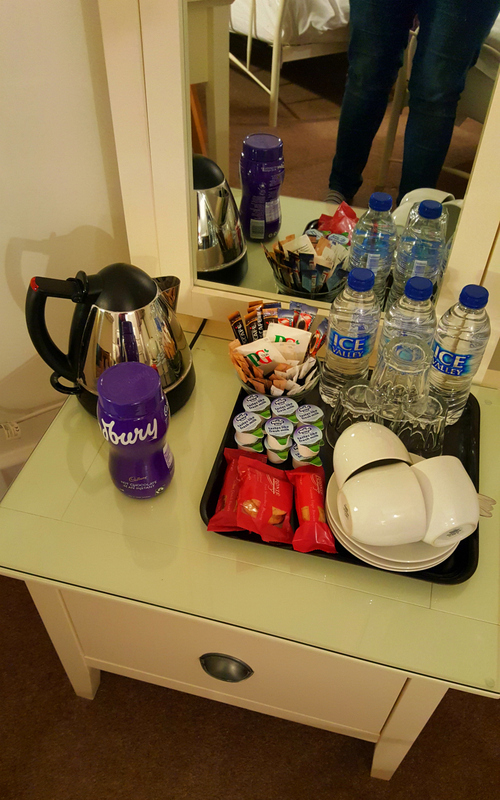 A highlight for me though was the huge cafetiere of coffee I got each morning. I bought proper coffee on the way home but it wasn't nearly as nice. Clearly I need to get Kenco like Karin. 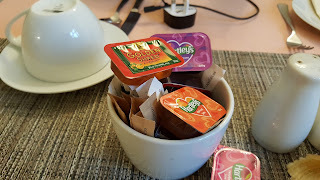 The condiments on the table were all leading brands too. I became an absolute fan of the Lurpak butter, lashings of it on my toast each morning. With a greedy guzzler like me, she wouldn't make a profit. Speaking of profit, breakfast is now £7 per adult and I'd say well worth it too. The rooms though are cheap for the standard you get, so enjoy them whilst they still are as I'd told Karin she's selling herself short! 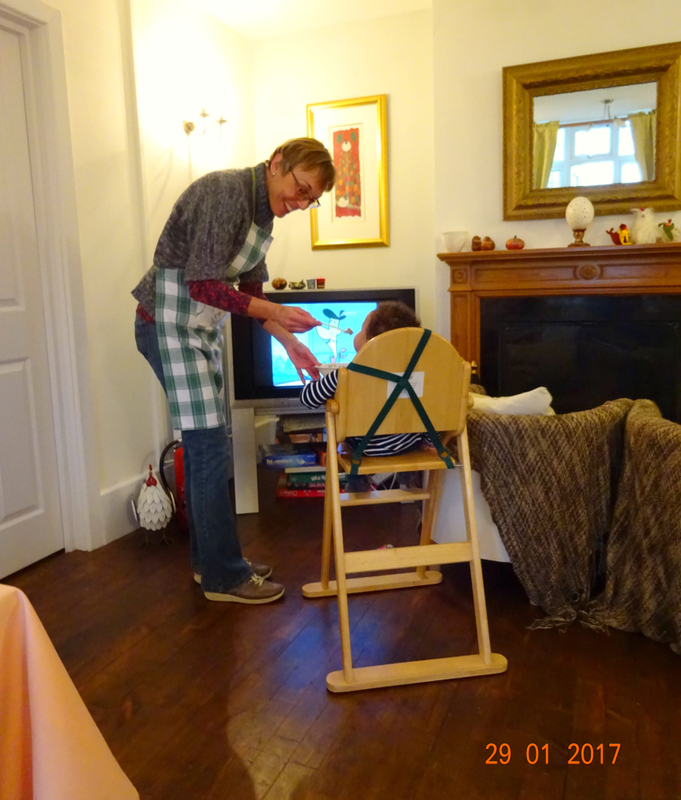 Karin took a break from cooking breakfast - pictured below - to spend some time with Lottie who we were trying to settle in front of the TV, out of pure desperation so we could eat our food while it was still warm. Karin even fed her some of her Weetabix whilst I tried to enjoy my coffee and English Breakfast. Daddy and I were tag teaming so we could have a forkful each. 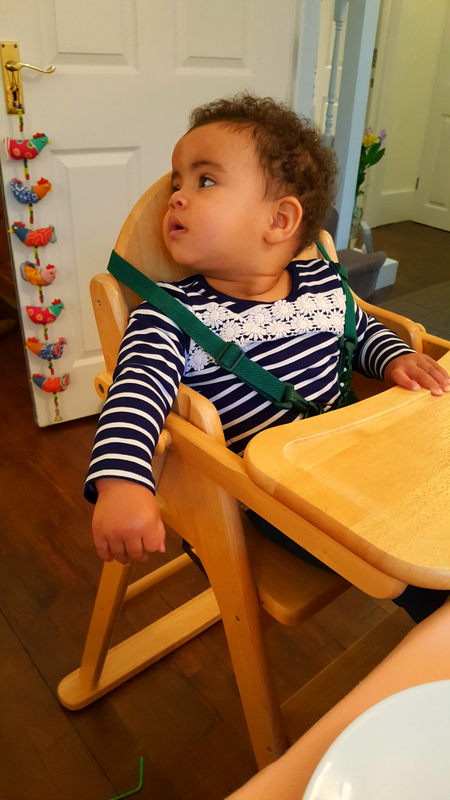 This is all new to us, because she's started walking so recently and now doesn't settle as well in a highchair, like up until now she always has done. 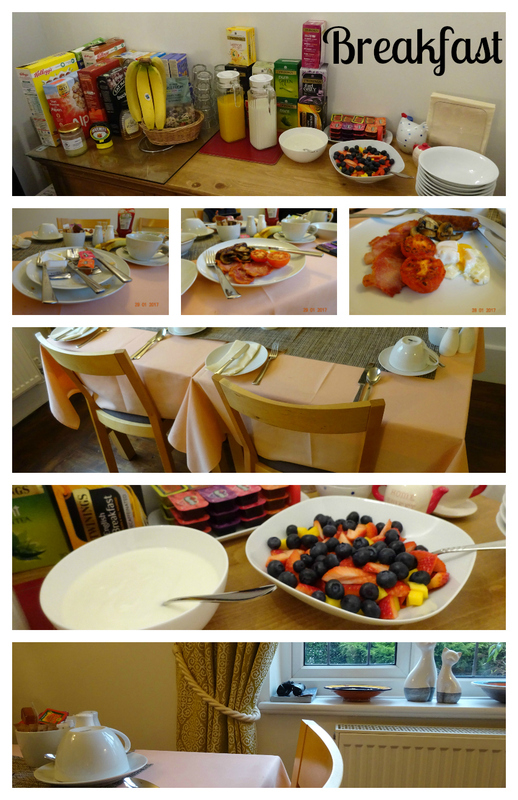 Breakfast was definitely one of many highlights of our stay at Highlands of Highworth. The bread is homemade in a bread maker, so whilst you shower and dress you're already salivating. I must have had 5 slices each morning we were there, with Lurpak and jam. “Green Room” Reviewed 18 October 2016We stayed in the Green Room & all I can say is attention to detail and your comfort is beyond our expectations, it has all you need for extremely comfortable relax and chilling, en suite is very clean and again everything you need, we were greeted by the owner who is very nice, we opted for breakfast which is a small additional charge and honestly well worth it, my husband had the full English but I had warm baked croissants with what I'm sure tasted and looked like fresh fruit homemade preserve, your every need is most definitely catered for, I asked if there was an iron which the owner organised straight away, we loved our stay so much we are definitely going back for longer, our room had an amazing view of the lovely well kept garden with chickens roaming free and the tree had bird feeders which brought beautiful wild birds of all shapes and sizes, there are even binoculars to use if you so wish, Thank you for such an amazing stay at such a meagre fee, we would of paid double well worth it. 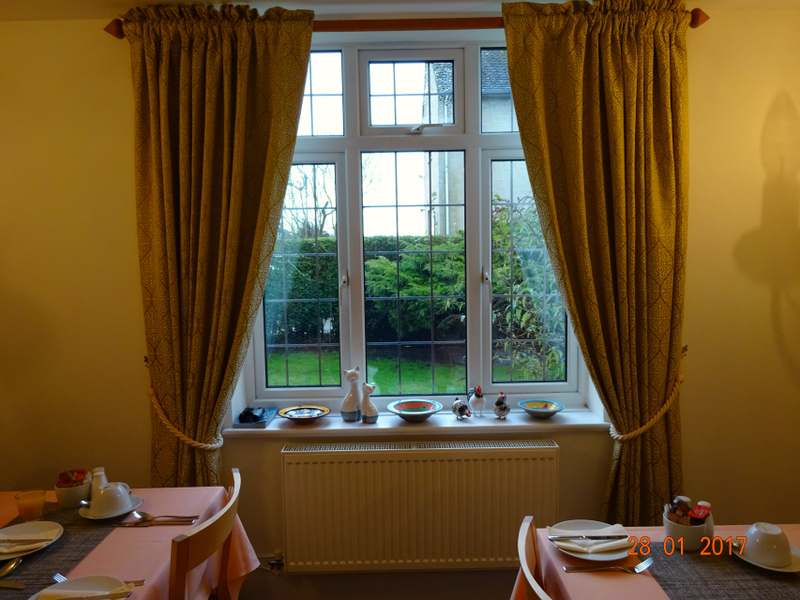 We were reviewing the Highlands of Highworth so our stay was complimentary but ordinarily breakfast is charged in addition to your room rate and the travel cot would be £10. At first I thought Karin was being exceptionally warm, kind and helpful because I was reviewing as a blogger, but it only takes a quick glance at reviews and at the guestbook on site to see that she is consistently like this. I know it is taxing to give of yourself so freely and unconditionally so I hope the universe returns to her all of the goodwill she generates and more. 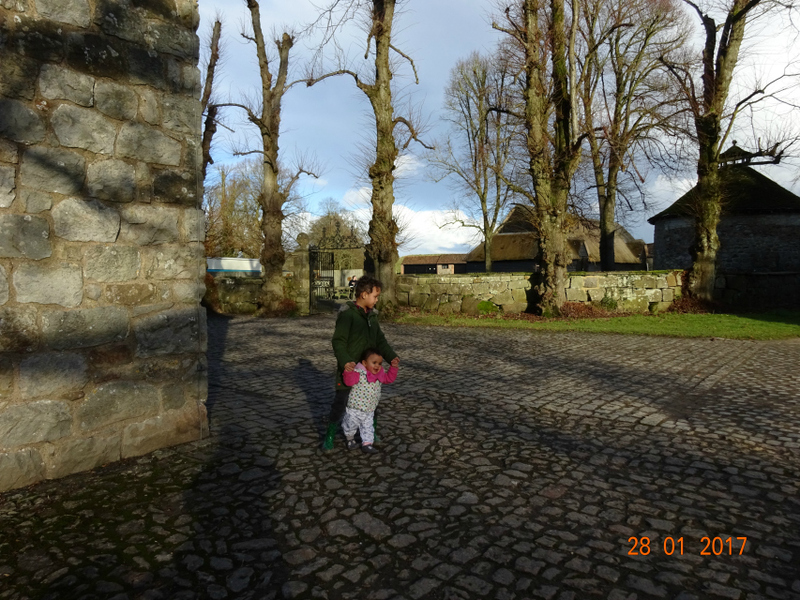 I will also be blogging about our wonderful time spent in Avebury on Saturday 28th January (picture below) but we didn't get to the Cotswolds on the Sunday, even though Karin diligently did a route map for us. Remember I said above that there was a story. Well Daddy asked Aaron to carry one of the bags to the car and it had a pot of satay sauce in it from a takeaway. Suffice to say Aaron left a trail behind him down the long carpeted staircase. Such a shame as I'd just finished packing and they'd had such a lovely time seeing the free range chickens in the garden, the same ones that lay the eggs for breakfast. So we quickly drove home instead which meant we got a food shop done and got all ready for school on Monday. I even managed to unpack straight away which is rare for me. Luckily Karin has a carpet cleaner and it didn't at all stain. Thank God for that.